Have you ever found yourself looking to turn your computer off or put it to sleep without a mouse handy? Windows has always offered the ability to turn off with just keyboard shortcuts, but who can remember them all? Here are the keyboard shortcuts you need to know to turn Windows 10 off, make it sleep, or restart it quickly and easily. Print it out, save it on your desktop, and let it burn into your brain so you can turn your PC off in a snap! Press Windows key + X, followed by U, then U again to turn off. Press Windows key + X, followed by U, then R to restart. Press Windows key + X, followed by U, then H to hybernate. Press Windows key + X, followed by U, then S to sleep. Are those shortcuts too many buttons for you? Well guess what, you can just hit the classic: ALT+F4. There’s also the another of the favorites: a double CTLR+ALT+DEL. Explore more about: Keyboard Shortcuts, Windows 10. These shortcuts dont work on my laptop. Do I need to enable the shortcuts from somewhere first? On windows 10, two ctrl+alt+del doesn't seem to work. The first brings up the normal cad screen, the second seems to have no effect. Alt+F4 only works if you have all windows minimized. So in normal use, first you have to do a minimize all, then the Alt+F4. So that's clumsy. Windows key+x, u, r seems the best choice, but is still clumsier than prior versions of windows: windows, right, enter. Complete misrepresentation! 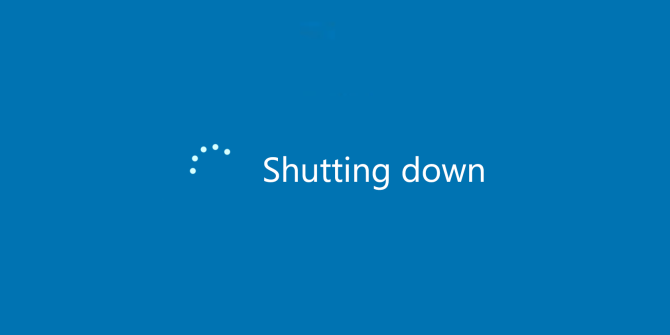 You aren't describing "How to Shutdown or Sleep Windows 10 With a Keyboard Shortcut", you're providing a sequence of keystrokes (the first of which is a keyboard shortcut) that access the Windows power menu and then its options. With W7 I use Hotkeybind - no messing about pressing multiple keys, I simply hit the key that's never used ('logical negation' key below escape on UK layout). On W10 Hotkeybind isn't stable, so I'm looking for another programme. Thanks a million! I bookmarked you right away. sleep mode: Fn and F2 at same time. Very easy. same as I've been doing for a decade or more now. Pressing the power button as Shahar says is the easiest and fastest way that's worked for the last 4 Windows operating systems. I click Windows > Power > ... It only took 5 seconds and safe. Short press on power button does the trick just as well. True, but that's a one-trick pony (unless you reprogram the button...at which point it's still a one-trick pony).